BabyNaturopathics.com - Haba Blossoms Pacifier Chain - Baby Naturopathics Inc.
You can earn 16 bnReward Points on this product! 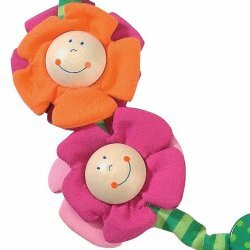 Blossoms Pacifier Chain is composed of soft fabric�and wooden pieces. 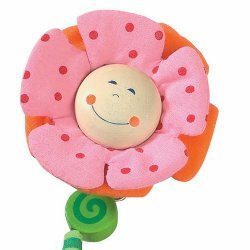 Use the loop to attach the soother, then use the clip�(on the back of the largest flower) to attach the pacifier chain to your baby's clothing. 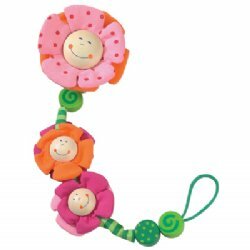 Pacifier is not included.�Blossoms pacifier chains are�made and designed in Germany by HABA.